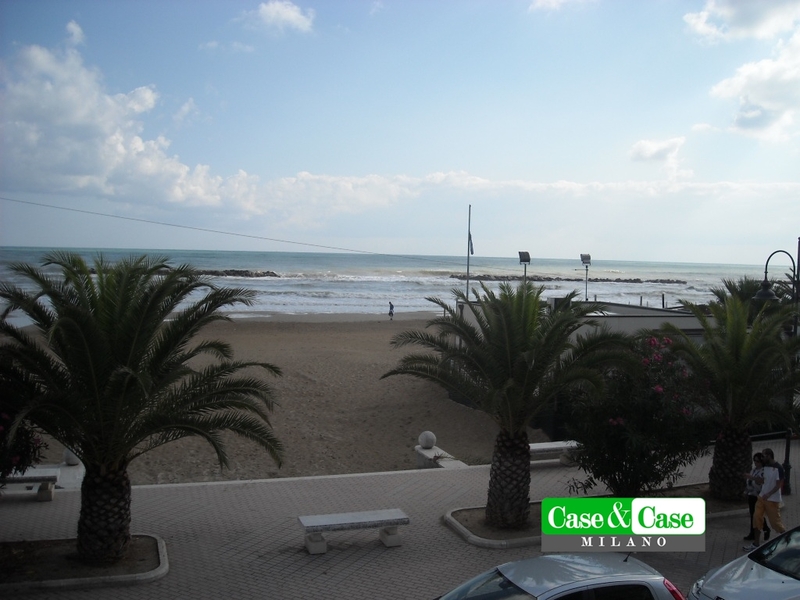 Superb four-room apartment in the most beautiful location of the town renowned for its promenade and its golden beach. FRONTE MARE, is composed of a large entrance that leads to the open space of 60 square meters with two large windows from the unmissable view and a balcony directly on the beach. The kitchen is semi-habitable and has a brick fireplace; the sleeping area has two double bedrooms with a large balcony overlooking the sea, two bathrooms, one with a bath and the other with a large shower; the bedroom is the only room in the apartment that has no sea view but overlooks a garden and has a balcony. Furnishing included in the price. Possibility of double box with shower and small boiler for hot water. It is sold separately for 40,000 euros. It is a unique and unobtainable property.